Used in lens and source assemblies. 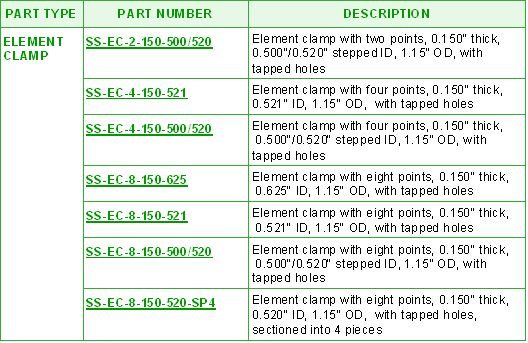 Two, four, or eight- pointed clamps, 1.15" ODs with 0.500" to 0.625" IDs. Attach to C Series insulating or metal rods, tubes, eV Parts, and groove grabbers.